Q. 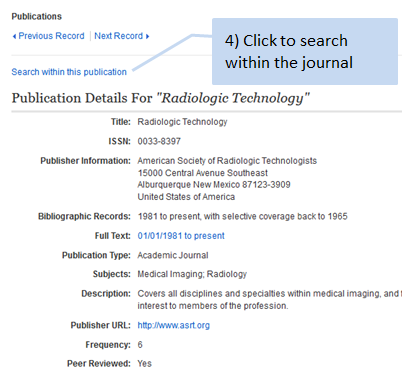 How do I search within a journal? I want to search for articles within [fill in the blank] journal. Open an EBSCO database like Academic Search Complete, Medline, Business Source Elite, etc. 2. In the second search box, search for the name of the magazine or journal you are looking for.